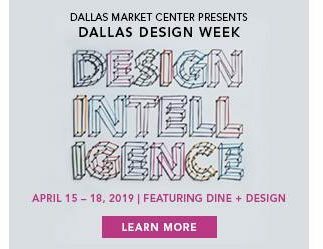 Dallas Design Week is coming up next month and I am so excited! I will be participating in several places throughout this three day event. It will be taking place April 15-18, 2019. 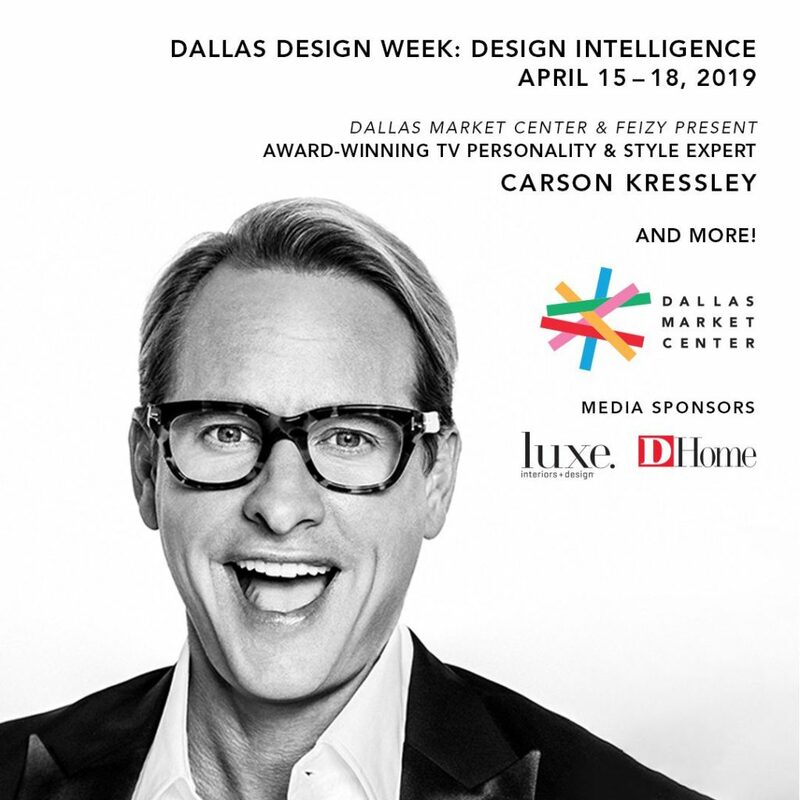 One of the many highlights of the week will be Carson Kressley teaming up with Dallas Market Center & Feizy for several appearances! You’re invited to a special event featuring Emmy-winning TV personality, style expert and New York Times best-selling author Carson Kressley. The star of the groundbreaking series Queer Eye and Bravo’s new hit Get a Room with Carson & Thom will step up to the mic at 3:30PM, followed by a meet-and-greet cocktail hour at 4:30PM. Are you getting credit for providing health and pleasure for your clients?Mike Peterson, President of Vision Marketing and former publisher of Country Living, House Beautiful and LUXE Interiors + Design magazines, leads an insightful panel discussion on the value proposition behind these benefits and how designers can market the emotional reward they provide to clients. 4PM – 5:30PMJoin celebrity designer Dann Foley for a lively and interactive discussion about what makes Cambria Quartz his only choice of natural hard stone surfaces for his high-end clientele. Dann will share how he has come to rely solely on Cambria – the only family-owned, American-made luxury quartz brand – and share both his portfolio and a plethora of tips and tricks for maximizing your brand, your bottom line and your client referrals through his own sales techniques. After more than 30 years as a successful interior designer, product designer and television personality, Dann offers a unique perspective on what really works! 11AM – 12:30PMConsidering a membership in the Interior Design Society? As one of the country’s largest organizations of its kind, the IDS is dedicated to serving the residential interior design industry and helping its members grow their businesses. Learn more at this informative meeting. 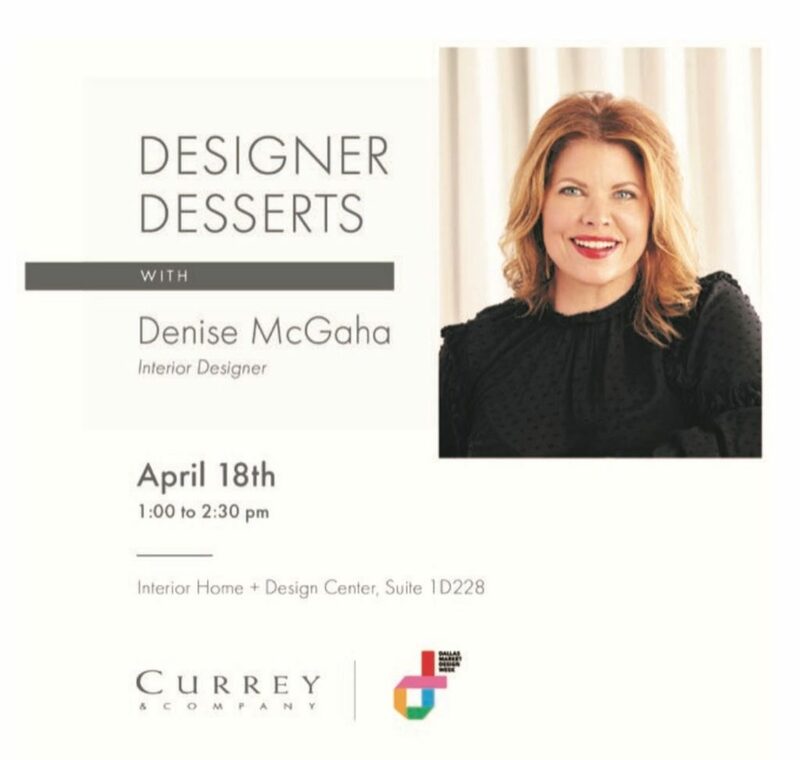 1PM – 2:30PMVisit the stunning Currey & Company showroom in the Interior Home + Design Center for coffee, dessert, giveaways and a meet and greet with award-winning interior designer Denise McGaha. In today’s changing media landscape, professional photography is critical to marketing an interior design business. Learn strategies for planning the most effective and successful photo shoots from expert interior photographer Stephen Karlisch and award-winning interior designer Denise McGaha. This CEU credited event covers topics including the importance of planning your shoot, photo styling, using photos to market your business, social media and more. Join us for the Jan Barboglio Signature Tequila Bar and see the new Linea d’Luz collection of lighting and furniture. 4PM – 5PMJoin us in the Gallery at IHDC to toast a week to remember! Dallas Design Week’s closing party will feature light bites, cocktails, music, fabulous giveaways and more.